Only three major-league relievers appeared in 80 or more games last season. The Mets, with their season approximately one-fourth complete, have five relievers on pace to appear in 80 or more games, a development as alarming as the collapse of their starting rotation. The two issues, of course, are not unrelated. But for the Mets to get back into contention, they will need to stop abusing their bullpen, an effort that will require greater diligence from both manager Terry Collins and the front office. 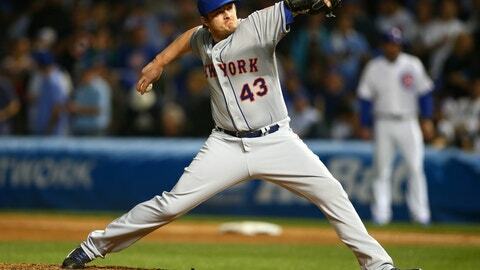 Collins bears larger responsibility — the Mets through Saturday had used their relievers more than any team on both two consecutive days and three consecutive days, according to STATS LLC. Their 38 uses of pitchers on two or more consecutive days put them narrowly ahead of the Brewers. Their 10 uses of pitchers on three or more consecutive days was double that of the next-highest team, the Mariners. Yet, Saturday night’s 7-5 victory over the Angels was a classic example of the problems that Collins faces even when he is trying to stay away from his most overworked relievers. The Mets entered the ninth with a 7-2 lead, but newly acquired Neal Ramirez loaded the bases with none out, forcing Collins to summon closer Addison Reed, who had pitched the previous night. Reed escaped with his sixth save, but only after throwing 29 pitches and allowing all three runners he inherited to score. That’s not the fault of Collins, who had little choice but to go to his closer rather than invite a crushing defeat. The manager, though, sometimes is guilty of overkill — for example, when he used four of his top relievers in a 6-1 victory over the Giants on May 9. Those are the situations Collins needs to avoid. He cannot always go with the best possible matchup if the risk of overuse is significant, if the win probability is too high or too low. In fairness, the Mets never anticipated their current predicament; they were built under the premise that their starters would go deep into games. Yet even in better times, Collins rode his top relievers hard. Jeurys Familia, who will be out several months after recently undergoing surgery to remove a blood clot near his right shoulder, led the majors in appearances from 2014 to ’16. 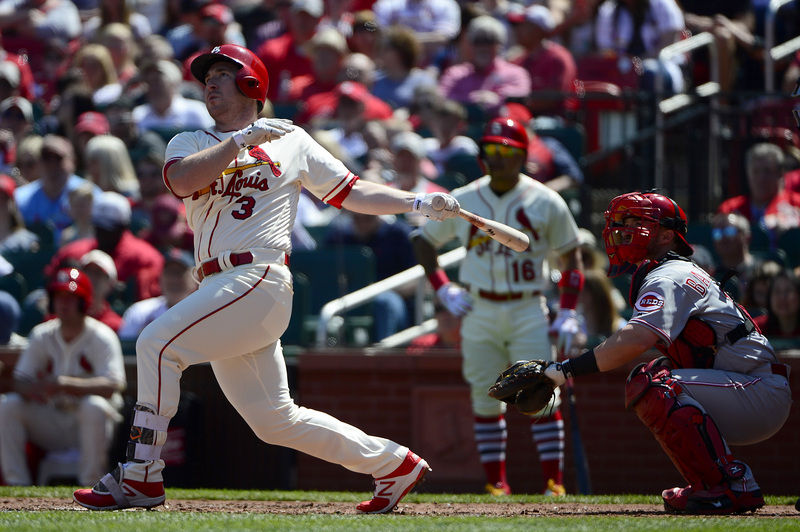 Reed ranked third in the majors in ’16, his first full season with the club. Alas, the circumstances now are more problematic than they were in ’15, when the Mets reached the World Series, and ’16, when they played in the NL wild-card game. The team’s injury-depleted rotation ranks 27th in the majors in innings per start, and adjustments are required. Paul Sewald, one of those types, actually has emerged as a decent option, but the front office could help by finding a quality long man and/or a more trustworthy back-end starter than Tommy Milone, who lasted only 1 1/3 innings on Sunday, forcing Collins to use five relievers. Robert Gsellman could be the long man, but he and another candidate for the role, Rafael Montero, mostly have been disappointing. 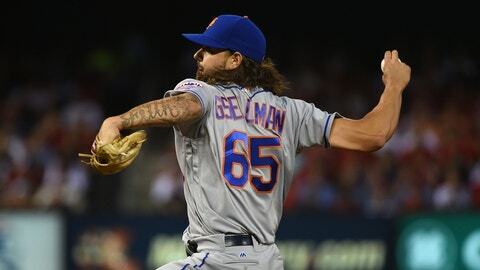 And Gsellman will be needed back in the rotation on Wednesday. Multi-inning relievers like the Astros’ Chris Devenski are more of a weapon in the AL, where pinch-hitters cannot replace them. Regardless, the Mets somehow must to find ways to get more rest for their top relievers. Blevins leads the majors with 25 appearances, while Reed (23), Fernando Salas (22), Josh Edgin (21) and Hansel Robles (21) all rank in the top 30. The expected returns of two rehabilitating starters, right-hander Seth Lugo and lefty Steve Matz, will help. But the Mets’ waiver claim of Milone and signing of Ramirez exposed their lack of depth at Triple A. And the Mets do not option pitchers as judiciously as say, the Orioles, in part because their Triple A affiliate is in Las Vegas, more than 2,000 miles from New York. 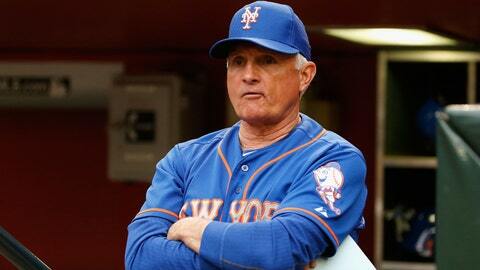 Whatever the reasons, the Mets need to figure out solutions quickly. It’s bad enough that their rotation is in shambles. If they don’t watch it, their bullpen soon will be, too. Umpire Joe West tells a great story about the first time he met David Ortiz. The year was 1997. 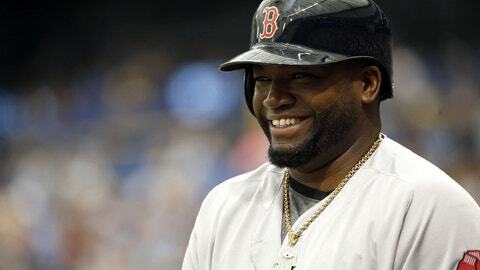 Ortiz was in his first major-league spring training with the Twins. As Ortiz came out to play first base, West greeted him by saying something he often says to young players. “I hope you play in this game a long time,” West said. West paused, allowing Ortiz to show his gratitude. West says that Ortiz stared at him, as if to say, “You jerk.” Years passed. Ortiz never brought up the exchange. 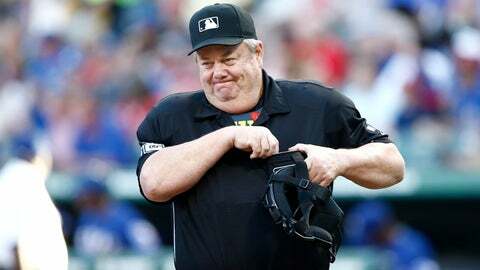 But West says that the former Red Sox slugger used to talk about him with his former umpiring partner, Rob Drake. “When you guys go out with West, does he scare the women?” Ortiz would ask Drake. Anyway, the story resumes last July in Boston, with Ortiz stepping into box for the last time with West working the plate. West, trying to keep the game moving, told Ortiz to get in the box. The two then repeated the exchange, with West again telling Ortiz to get in the box. That’s right – Ortiz, after waiting 19 years, delivered the last word. The kid was Bradley Zimmer. And he can take comfort knowing that he received the same message that West once gave Ortiz. Finally, we have evidence that Mike Trout isn’t perfect at baseball. Just ask Angels catcher Martin Maldonado, who as a member of the Brewers threw out Trout trying to steal on Aug. 30, 2013. “He brings it up every day,” Trout says, smiling. 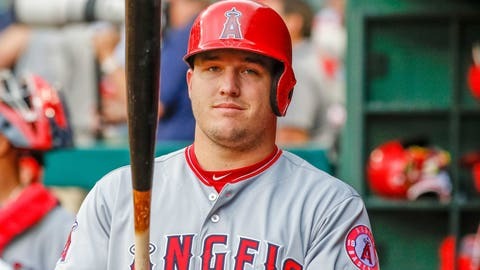 Trout recalls that Maldonado threw him out by four or five feet, but jokes that it was mostly because the pitcher was “1.0” seconds to the plate – a super-human delivery time. * Two separate baseball people last week volunteered Yankees general manager Brian Cashman as an early candidate for Executive of the Year. Cashman, who became GM in 1998, has never won the award, in large part due to the Yankees’ massive payrolls. The Yankees again rank near the top in that department, but own the second-best record in the AL due to Cashman’s reconstruction on the fly. * The Nationals, in addition to trying to add a closer, might further supplement their bullpen by transitioning a starter to relief. Right-hander Jacob Turner or Triple A righty Joe Ross could fill such a role, and the Nats recently moved their top pitching prospect, Double A righty Erick Fedde, to the bullpen. * The Yankees, days after facing the Astros’ Charlie Morton, still were still talking about the right-hander’s high 90s velocity and mind-numbing movement. Morton struck out 10 Yankees on May 14, but lasted only 5 2/3 innings after the Astros took a 9-0 lead. He still must prove that he can remain durable and pitch deeper into games. * Attention, deadline shoppers: Sonny Gray’s curveball against the Red Sox last Thursday was “the best I’ve ever seen him have,” according to one Athletics official. Gray has a 3.97 ERA in four starts since returning from a strained right shoulder, though he has yet to record an out in the seventh inning. * Here’s something you probably didn’t know: Braves right fielder Nick Markakis ranks 11th among active players with 1,937 hits – more than Joe Mauer, Chase Utley, Ian Kinsler and Dustin Pedroia, among others. Markakis, in his age 33 season, is batting .302 with a .764 OPS. * And finally, Collins relates a story that tells you everything you need to know about Mets third baseman David Wright, who recently was shut down from his throwing program, as first reported by NJ.com. Wright, who has not played since last May 27 due to a cervical disc herniation and shoulder impingement, recently wore only a sweatshirt on the bench during a cold night at Citi Field. Collins suggested that Wright put on a jacket, but the Mets’ captain declined, citing his teammates. “If they’re going to be cold, I’m going to be cold,” Wright said.